This week was finally the week of my surgery. A laparoscopy to look for endometriosis and to cut out whatever endometriosis was found. Being my first real surgery, I was nervous. Nervous is probably an understatement. 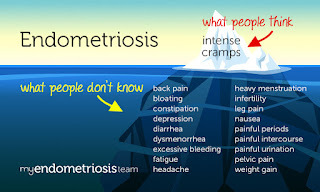 I collected as many tips and tricks as I could prior to the date from other women with Endometriosis who have undergone several laparoscopies. I heard the same tips repeated several times, and they were definitely right. I was told to go to the pharmacy and pick up some Gas-X and that I’ll be happy to have it. That was definitely right. During the surgery, they inflate your belly with gas so they can see around the organs more easily. It’s impossible to get all that air out after so it tends to get stuck in your abdomen, chest, and shoulders. While the gas never quite reached my shoulders, I felt it in my chest, so the Gas-X was super helpful. The second great piece of advice I was given was to SPEAK UP. I was told that if I’m feeling really anxious, tell them, and they will give you something for it because they want you to be as comfortable as possible. If you’re nauseous, speak up, they have meds right there ready to give you. I was also reminded not to leave without a prescription for pain meds, nausea meds, and Colace. With all these tips, I was ready to go. I was the first surgery of the day so we had to be there by 6:30 AM. I was understandably nervous, but I have to say, the nurses, the anesthesiologist, and of course my doctor and surgeon were all so comforting and kind. Those are the things you don’t forget. When I woke up, it took me a few minutes to figure out where I was and what happened. 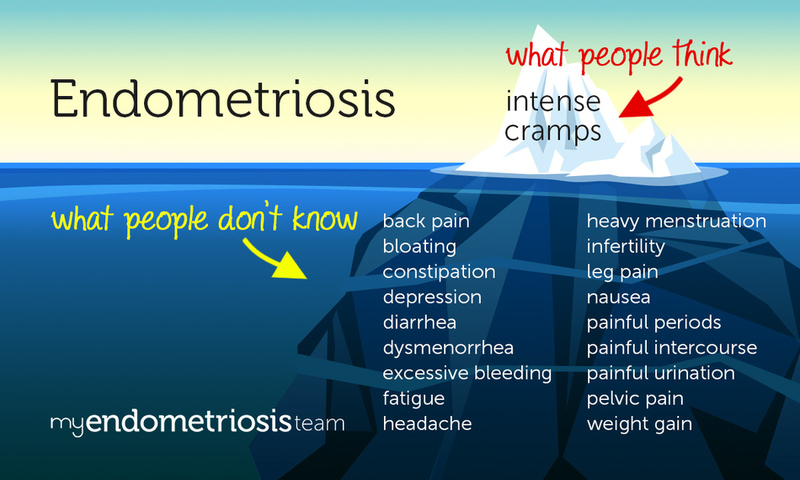 Once I was less out of it, my doctor came to talk to me, and told me what they found, which was a large patch of endometriosis on the back of my uterus that they cut out. We follow up in a few weeks once I’m all healed to discuss how we’ll proceed. I am so grateful for this doctor, for her kindness, for finding an answer to some of my pain, and for just existing. She happens to be an endometriosis specialist, and I found her by complete fluke. Some things are just meant to be. Post-op, things have been going fairly well. I had really built it up in my head that it would be awful, so the recovery is ending up going much better than I had anticipated! Nothing can happen without some complications, so on Day 2 post op, I started going into urinary retention. I could barely get anything out. We figured out that the pain medication I was prescribed was the culprit so I stopped it and now my bladder seems to be slowly recuperating. I’ve been experiencing lot of bloating, actually 4 pounds of bloating and water retention, so I’m hoping that will go down ASAP.